So I’ve done some research, asked some other chef wives and girlfriends and made a list of ideas. While all chefs are different, maybe one of these will at least give you an idea or get you thinking. Good luck! I’ll start off with my favorite gift for a chef. Since my chef/husband always says he doesn’t need or want anything, our favorite gift to give him is individual dates with each of us. (This was actually his idea.) Let’s say it’s Father’s Day. Each child would pick one thing they want to do with Daddy. It can cost or be free. Then they find a way to wrap that up and give it to him. In the past when we’ve done this, the girls have taken him to ice cream, on a bike ride, out to dinner, rented a movie and had popcorn and went on a hike. Last year for his birthday I took him on an all day date. Since the girls’ time with him is a bit limited during the school year, this ensured one on one time with each of them and they all loved it! 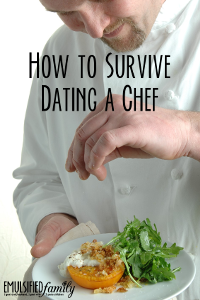 One of my fellow chef wives/girlfriends surprised her chef with a weekend away, including dinner at a wonderful restaurant and got him the cook book from the restaurant. Love this idea!! Fizzics Beer System – Make beer at home! AeroGarden (We bought this for my husband for his birthday in September!! It’s amazing and we highly recommend it!! 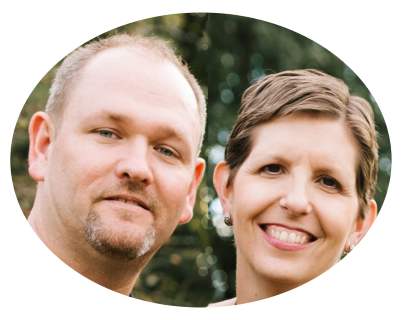 New thermometer – This one is AMAZING!!! Cell phone update – what about one with a stylus like the Samsung Note 9, so they don’t need to carry around a little note pad to take notes? 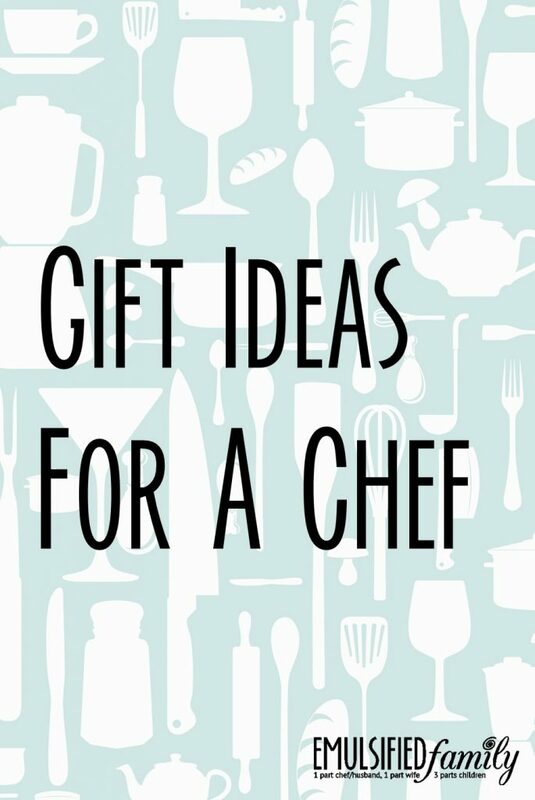 For more ideas, follow my “Gifts for a Chef” board on Pinterest. 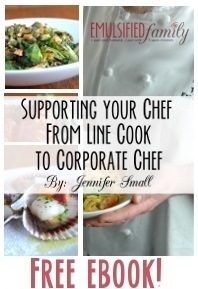 Follow Jennifer @ Emulsified Family’s board Gifts for a Chef on Pinterest. I’d love to know other ideas you have! Please leave them in the comments below! My husband is a chef of 11 years (married for 6) and this foot massager has been the best gift ever! Thanks for the tip about the foot massager. I’m glad you found me on the blog.